Mindfulness is the practice of deliberately paying attention to your thoughts, feelings, and senses without judgment. You are focusing your attention on the present moment. You are experiencing your life as you live it directly through all your five senses. You have a conscious awareness of your thoughts, feelings, emotions, and surroundings. You are living in the moment. 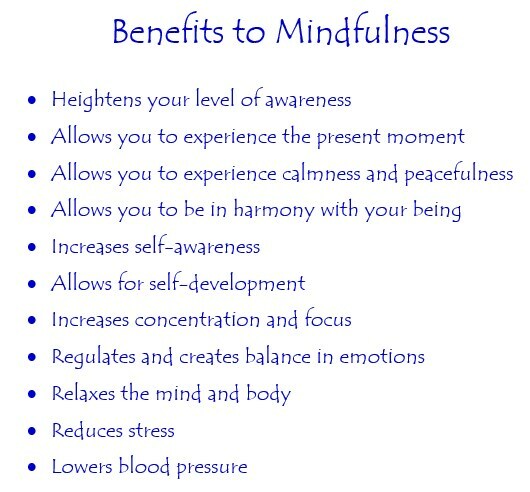 There are several benefits of mindfulness. First and foremost, mindfulness is a key piece for happiness. It helps you appreciate the joys in life as they occur. Practicing mindfulness also bolsters many attitudes, thoughts, and feelings that contribute to happiness. You can train your mind to observe your thoughts, feelings, and sensations with a new positive perspective to create a happiness mindset. One of the main reason people practice mindfulness is for stress reduction. When you are mindful, you are living in the moment and not thinking about the future and its uncertainties. By focusing on the here and now, you find that you are less likely to get caught up in the concerns about the future or regrets over the past. One of the main contributors to high blood pressure is stress. Therefore, by reducing stress can lower your blood pressure. Mindfulness not only helps you reduce stress, but it can also help you get a better night’s sleep. Often times at night, you may lay in bed with thoughts racing through your head. Mindfulness techniques can quiet the mind and induce a relaxation response. Being mindful makes it easier to savor the pleasures in life as they occur. You are focused on the here and the now. You are less likely to get caught up in worries about the future or regrets over the past. You also become less preoccupied with concerns about possible successes and failures. 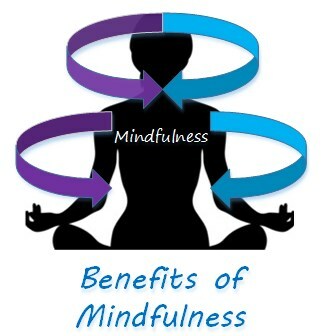 Mindfulness helps increase your ability to focus your attention and reduce distracting stimuli. You learn to become fully engaged in activities and not be distracted by other thoughts or concerns. Mindfulness helps us tune out distractions and allows you to really objectively analyze yourself. By practicing mindfulness, you become less emotionally reactive. You learn to stay calm and to be more receptive than reactive. Mindfulness is a great technique to help you understand and deal with your emotions in healthy ways. It allows you to learn how your mind works. You are able to recognize and understand the thoughts and feeling you are having. That allows you are better control them instead of allowing them to overpower you and dictate your behavior. Mindfulness allows you change your typical responses by taking a moment and consciously choosing how to act or respond to the world around you. A simple breathing exercise can stop your hasty reaction and allow time for more appropriate response.